This site advocates the efficient use of neat ethanol as a gasoline substitute. As a fuel, ethanol is better known for reducing greenhouse gas (GHG) and other tailpipe emissions but for having a mileage penalty of 25 to 30 percent over gasoline. Ethanol mileage, however, can equal or even surpass that of gasoline if used in an appropriate engine. Model T Ford cars sold up to 1928, were Flex Fuel Vehicles (FFV), built to run on ethanol and gasoline. Henry Ford advocated for ethanol as a neat fuel and as a gasoline additive to boost its octane rating. Lower oil prices, however caused gasoline to prevail as the fuel for most automotive engines. The gasoline additive first adopted in place of ethanol was the poisonous tetraethyl lead (TEL) banned in the 80’s and replaced by MTBE an oil derivative that causes water pollution problems. Ethanol use as a fuel was reintroduced in Brazil after the second oil crisis in 1974, to reduce gasoline imports. First it was blended up to 15% with gasoline. Later, when local industry developed ethanol cars, neat ethanol started to be sold in all pump stations. Over 5 million such vehicles were sold until the end of the 1980’s. In the current century the production of neat ethanol vehicles was discontinued and replaced by FFV. In the USA, ethanol was reintroduced by the Clean Air Act in the 90’s to replace MTBE. This led more than 20 countries to use ethanol as an additive. The Clean Air Act also encouraged the development of FFV. Today, 45 million FFV circulate worldwide. Two thirds are in Brazil, where ethanol is widely available and five million use it regularly. The USA has the second largest fleet but the use is low because of the small number of E85 stations. About 1 million FFV circulate in Europe, led by Sweden, France and Germany. Ethanol is a homogeneous fuel that has the same chemical formula regardless of whether it is produced from corn, sugar-cane, wheat, sugar-beet, cellulose or other feedstock. Gasoline consists of hundreds of organic compounds obtained from petroleum, enhanced by a variety of additives. Gasoline composition varies depending on the origin of the petroleum and environmental restrictions adopted by each country. Ethanol blends very well with gasoline. The fuel mixtures are designated by "E" followed by a number, which indicates the percentage of ethanol per volume. For instance, “E85” contains 85% ethanol and 15% gasoline and is referred to here as neat ethanol because it is the purest ethanol sold in the USA and Europe. In Brazil neat ethanol is hydrated E100. Gasoline and ethanol can both be used in spark ignition internal combustion engines, even though they have very different physical chemical properties. FFV engines’ combustion chamber, compression rate and other physical characteristics are designed for global markets and sized for average gasoline composition. Electronic control in these engines is programmed to optimize gasoline use and emissions according to each separate market. In these engines ethanol is treated as if it were a special gasoline but the engines are not set up to exploit ethanol’s favorable combustion characteristics. An engine designed to use ethanol takes into account ethanol’s physical and chemical characteristics such as its higher octane rate and heat-of-vaporization and stoichiometric rate, that combusts at a higher temperature and with greater force (higher compression) than gasoline while having a greater capacity to cool the fuel/air mix in the cylinder before. This allows downsizing the engine, while increasing power output and realizing better fuel economy that would reduce mileage penalty close to nil. The widely accepted rule of thumb to compare gasoline and ethanol prices that penalizes the latter is based on its smaller heat content. Such a comparison suggests that ethanol is less efficient than gasoline. This perception has undermined efforts to increase the acceptance and use of ethanol and explains the lack of government interest, the low level of investments in R&D for efficient ethanol power train development and the lack of interest of important stakeholders, such as ethanol producers and the automotive industry. To enhance ethanol competitiveness with respect to gasoline, therefore, it must be used more efficiently in engines designed for its use. The decision to fuel FFV with neat ethanol can be motivated by environmental concerns but the majority of decision makers consider the relative prices of gasoline and ethanol and the perceived mileage penalty. Efficient neat ethanol vehicles can play an important role in a market where diesel engines have suffered a setback in terms of public perception. A few years ago RICARDO announced a research breakthrough optimizing a spark ignition engine performance to diesel-like levels of efficiency. Cummins developed ETHOS 2.8L trucks that deliver the power and peak torques of a diesel of twice the size. A GM 6.6-liter Duramax V-8 diesel was replaced by a 3.2-liter neat ethanol engine with half the weight, a much cheaper fuel system and much simpler after-treatment. Optimized Otto cycle ethanol engines with hybrid electric drive trains can also displace diesel in heavy vehicles such as trucks and buses. Use of neat ethanol instead of gasoline is the most cost-effective, feasible and available means to “decarbonize” transportation. Its importance increases if the competitiveness with respect to gasoline increases. At the same time it diversifies energy supply; creates job and investment opportunities for rural communities and stimulates technological innovation. Due to its bio-origin, ethanol production may be influenced by climate. Hence, its large-scale worldwide adoption depends on the reliability of its supply that can be further improved as it acquires the full characteristics of a commodity. The main factors leading to the inefficient use of ethanol are not technical ones, but rather disinformation and misinformation that clearly lead to market imperfections. Communicating and demonstrating the positive qualities of ethanol to consumers in general, opinion makers, universities and R&D institutions is of paramount importance. Such a strategy will work to improve policy development and advocacy with government authorities that can lead to the objective a greater and more efficient use of ethanol world-wide with many beneficial results. Results will be realized faster in Brazil where there is a well-established culture of ethanol use and millions of FFV drivers use only ethanol. Brazilian industry is able to, and likely will develop appropriate hydrated ethanol drive-trains as they have done in the past if they perceive that there is a significant market. A few are already making efforts in that direction. 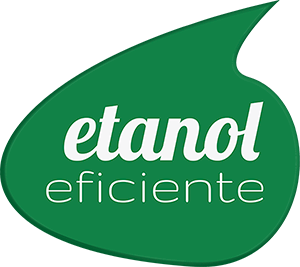 The Efficient Ethanol Program – PrEE (Portuguese acronym for “Programa Etanol Eficiente”) was organized in 2014 to help reduce current market barriers to the wider use of ethanol by improving the level of available information and supporting the creation of specific legislation and regulation to enhance the competitiveness of hydrated ethanol as an automotive fuel by the increase of its efficient utilization. The program is conducted by INEE (Portuguese acronym for National Energy Efficiency Institute), a private non-profit organization, created in 1994, which brings together people and institutions interested in promoting the efficient use of all forms of energy in Brazil. A highly efficient use of neat ethanol in Brazil will influence its use in other countries where FFV exists and E85 is sold. INEE’s ability to increase its efforts and continue to operate depends in large part on the generous support of individual donors as well as contributions from businesses and corporations who believe in its objectives and goals. For more information write to jbh@inee.org.br.